A menacing atmosphere rises when intense emotions collide with cold, analytic reason. 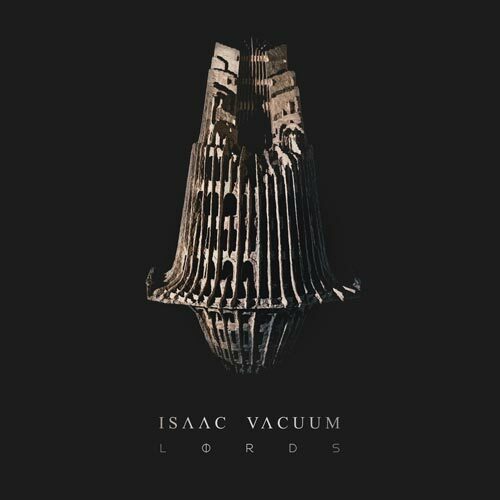 This extreme tension is musically caught by ISAAC VACUUM. Technically sophisticated progressive-rock meets a heavy, sludgy and organic sound, which is – due to a focus on catchy harmony-vocals – still plausible despite dark complexity. Although the german-based band is still in early stages, the group consists of four experienced musicians, each with a remarkable background. The two guitarists Dan Mueller and Philipp Maike – they’ve been playing together for years in other bands and projects – have been breeding raw, smacking guitarsounds, levitating dissonances and polyphonic melodies. The technical counterpart is highly-skilled drummer Michel Schallenberg, who, thanks to a wide stylistic range, knows how to perfectly place emphasis on progressive elements. The line-up is completed by Stefan Huth on touchguitars and moog-synth which defines the tonal difference when it comes to comparisons to other bands of any genre. In 2016 ISAAC VACUUM managed the balancing act between energetic live concerts (with established acts like „the Intersphere“, „The Hirsch Effekt“ and „Port Noir“ amongst others) and recording their first full length album on their own stream. After the self-titled EP in 2015 they now present their first full length album „LORDS“ with about 70 minutes of playing time. „LORDS“ has been released on 18th of march 2017. A prominently dynamic soundscape that keeps musical rawness and brute-force although completely avoiding growls or shouts – it is massive yet delicately accented at the same time. Content-wise the songs are firmly on the pulse. Despite not being political the lyrics address the collapse of patterns, fear of changes or abuse of power. „LORDS“ uses numerous allegories from all over the world and emphasizes the theme of intercultural co-existence in a globalized world.